Description: Naik hospital facilitates various surgeries and treatments with the help of its in-house radiology department, laboratory, advanced equipments and skillful team. This hospital has rooms and facilities available for the patients for undergoing long treatments. They ideally work around joint replacements and have successfully gained a vast experience in this field. They are also into arthroscopic surgery and in addition to this they also provide spine & hand surgery. Naik Hospital also gives plastic surgery facilities and have skills into working with orthopaedic patients and related operations. The hospital has a lot of orthopaedic surgeons, neuro physicians, neurosurgeons, sonologists, physicians, cardiologists, plastic surgeons, anaesthetics, hand surgeons, urologists, oncophysicians, faciomaxillary, vascular surgeons, and general physicians. 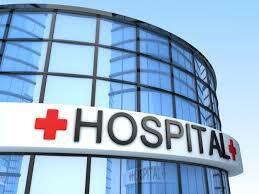 Naik hospital has 40 beds in addition to general ward, private, semi-private and deluxe rooms for the patients. There is arrangement for those who accompany the patients as well. They have state-of-the-art operation theatres and a dedicated pathology department. They digital radiology section is functional 24 hours and they also have an in-house x-ray department along with a rehabilitation section. They hold focused specialty in orthopaedics.